Anyone who pays attention to the news today knows how much the elderly and their issues figure in modern life and politics. This timely volume gathers discussions on aging that are highly relevant to seniors and to those who care for them, both personally and professionally. 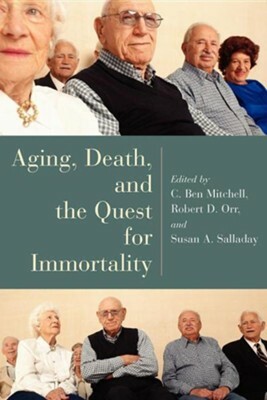 Written by physicians, healthcare professionals, theologians, and ministers, this book explores the experience of aging itself, examines a range of ethical issues that confront seniors today, and give practical advice on caring for the elderly. Rather than offering dry assessments of the nature of aging, many of the authors instead write out of their own experiences. Their sensitivity and insight into the challenges of growing old will make this book of interest both to care providers and to those who are themselves in the later stages of life. I'm the author/artist and I want to review Aging, Death, and the Quest for Immortality.